Martin Bailey is a nature and wildlife photographer based in Tokyo. He’s a pioneering Podcaster and blogger, Craft & Vision author, Phase One Ambassador and X-Rite Coloratti member. 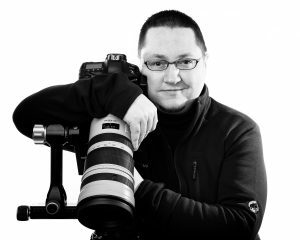 Fueled by his passion for nature and travel, and a tireless desire to share his knowledge and artistic vision, Martin is a popular international tour and workshop leader, helping photographers from around the world to experience and capture the wonders of this awesome planet we call home. I want to give a huge thank you to Martin for taking the time to chat with us! I consider myself as much a student as the listening audience, and appreciate him sharing his extensive knowledge. Being purposeful and patient with wildlife photography.